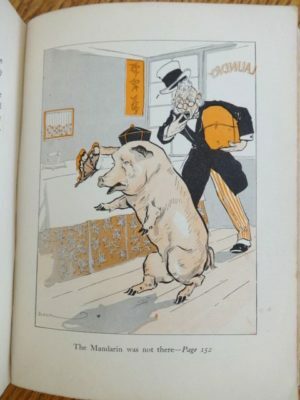 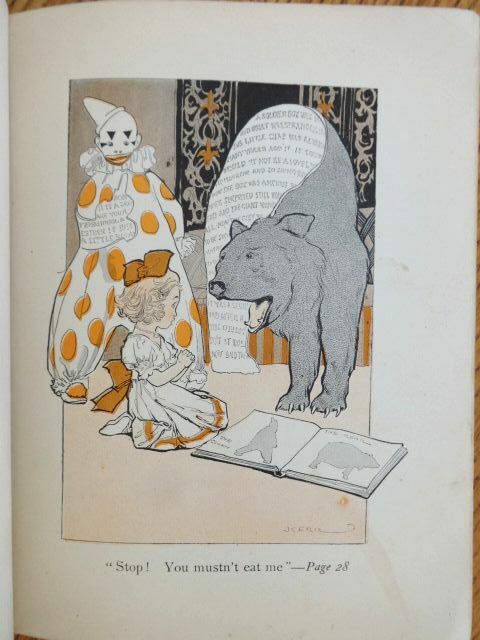 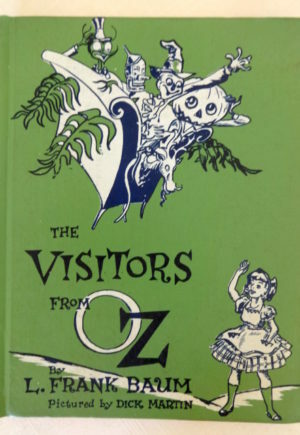 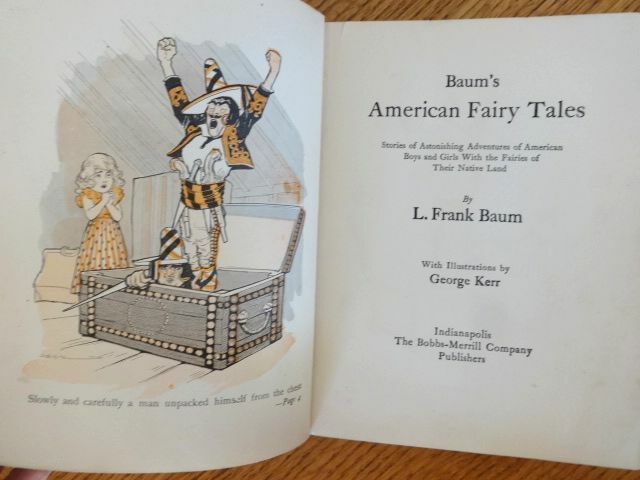 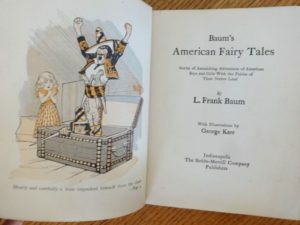 Here is a 1908 edition of Baum’s American Fairy Tale by L. Frank Baum, author of the Wizard of Oz books. 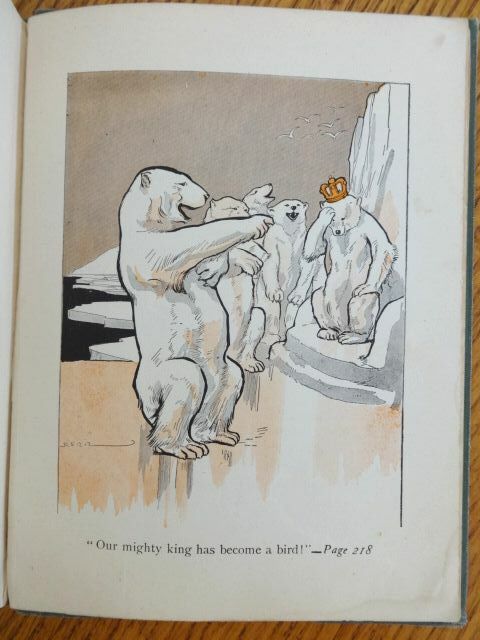 This is the 2nd edition, 2nd Bobbs-Merrill printing with 8 entertaining color plates by George Kerr. 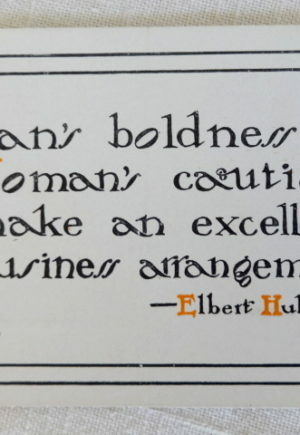 This is a “wild and homeless” or reading copy due to multiple flaws. 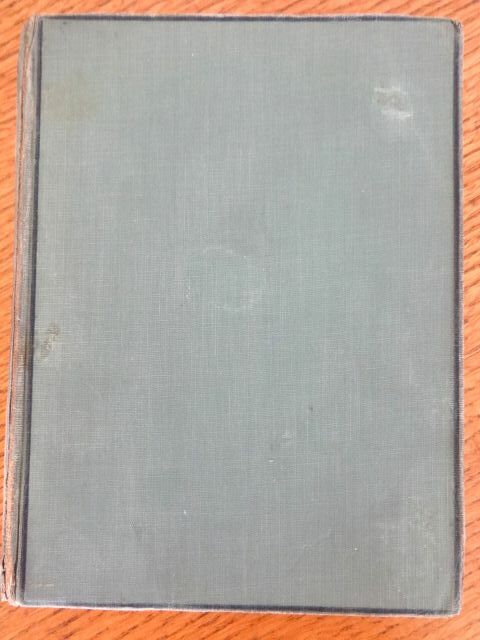 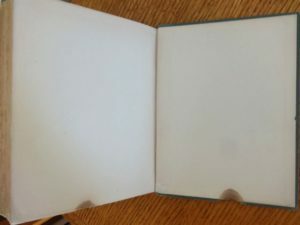 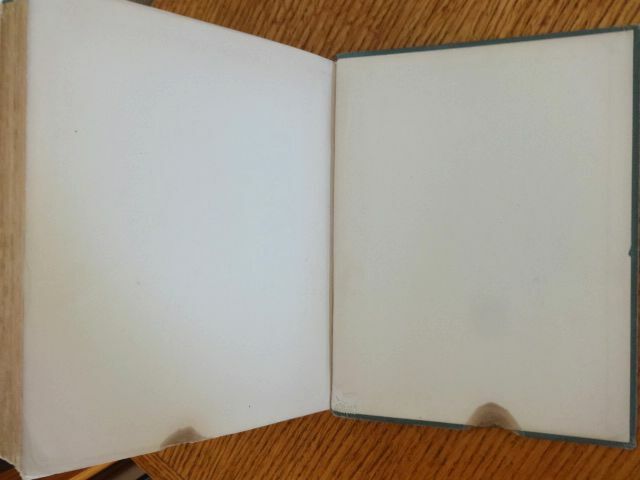 No cover plate or evidence of it (likely binding error), spine cloth split and reglued, burn mark to rear cover, heavy soiling to some pages and damp stain at base of last 1/5th of book . 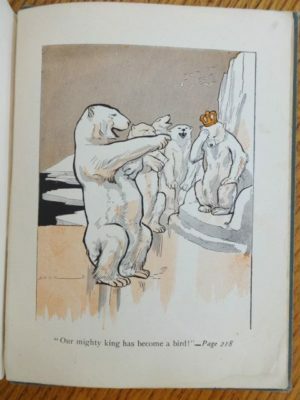 All 8 plates present and in good condition. 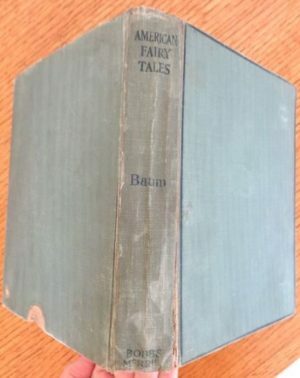 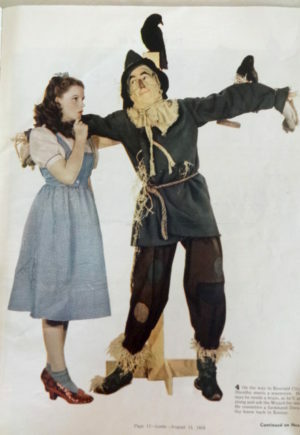 Contains three stories not included in the first edition: The Witch-craft of Mary-Marie, The Strange Adventures of an Eff, and The Ryl in addition to the original 12 stories from the 1st edition with intriguing titles such as The Box of Robbers, The Glass Dog,The Queen of Quok, The Girl Who Owned a Bear, The Enchanted Types, The Laughing Hippopotamus, The Capture of Father Time, etc.